Oh wait…you do like bananas? 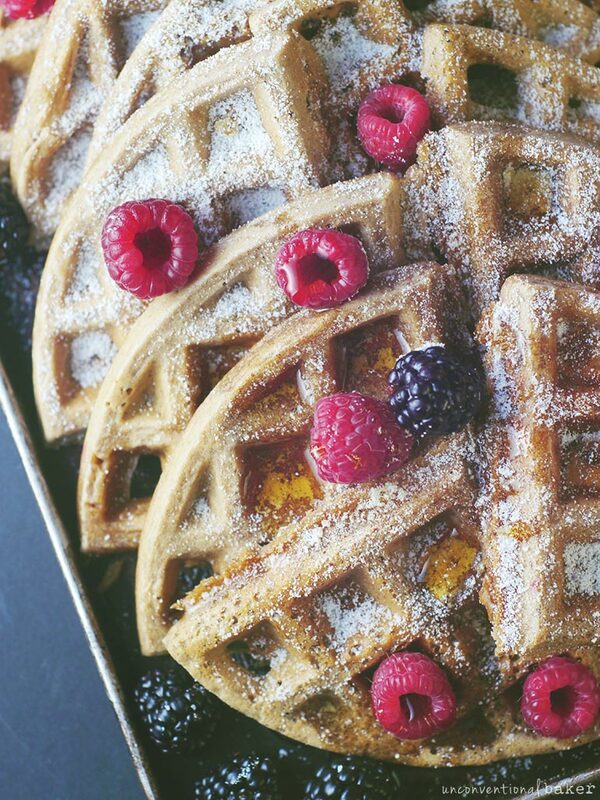 Then you should check out these banana buckwheat waffles (and these millet ones). 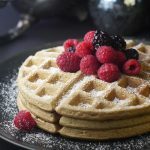 These waffles are light and fluffy, and I like that they come together with just buckwheat flour (keeping it simple in the gluten-free flour department ;) ). 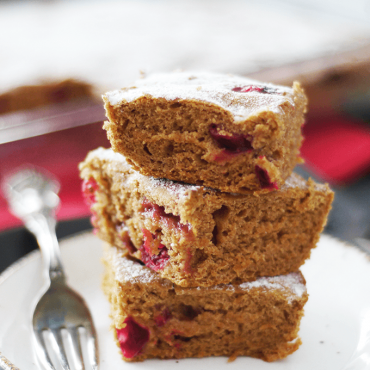 And they’re so good with maple syrup, berries, and coconut milk powder. 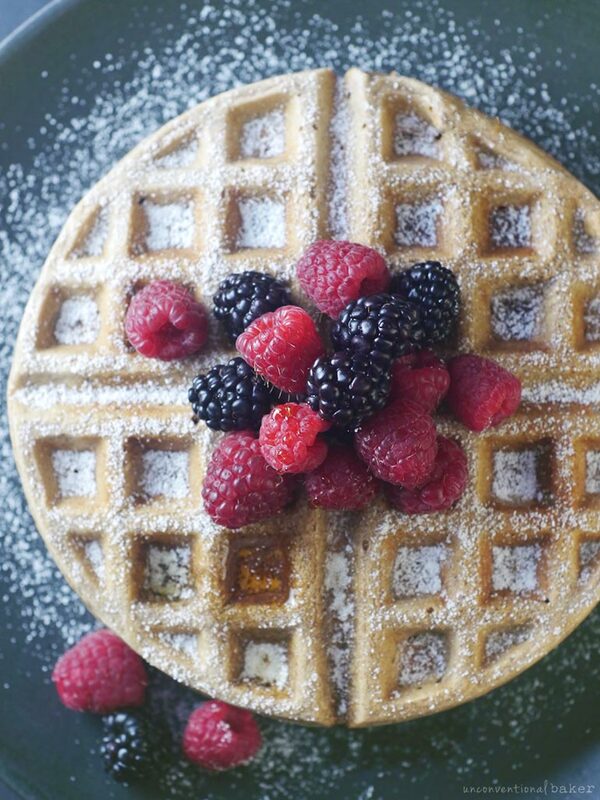 Fluffy soft vegan & gluten-free waffles, made with no added oils or refined sugars, and no bananas (by special request)! powdered coconut milk for dusting***, maple syrup, raspberries or other fresh fruit or berries, ice cream, your favorite jam, etc. Pour a third of this mixture (or whatever amount is suited for your waffle maker size) into your pre-heated (and oiled if need-be) waffle maker and bake for 7 minutes (until steam stops rising from the waffle maker). 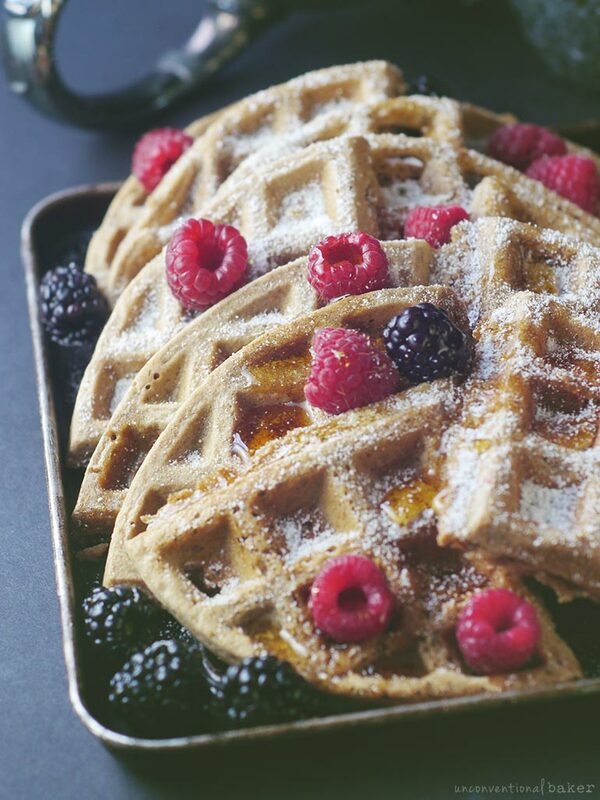 Carefully remove the waffle onto a plate with the help of silicone-tipped tongs (or something similar). Note: it will crisp up very slightly as it cools on the plate. Repeat twice with the remainder of the batter. *I used the coconut water that’s left over from cans of full fat coconut milk (once the cream was separated and removed for use in other recipes). It lightens up the waffles a little, and also because the water tends to contain a touch of guar gum it helps the waffles bind a bit better. That said, the recipe works well with just all almond milk, or another plant milk, or regular coconut water, if you prefer. 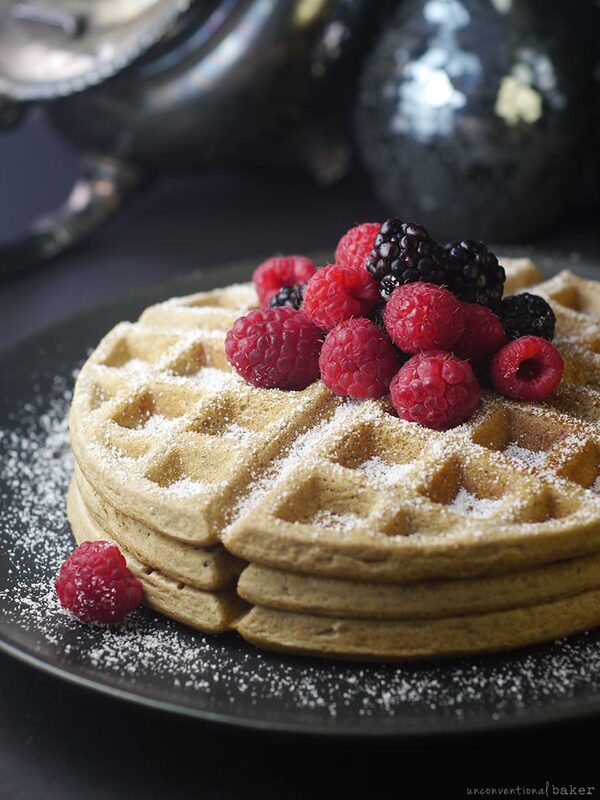 **If you have a good non-stick waffle maker, or if your waffle maker is already seasoned, then you can skip the oil. Otherwise a light spray coat does the trick nicely (I used this coconut oil spray). ***For the coconut milk powder, if using, be careful that the brand you purchase is actually dairy-free because some can contain dairy in addition to coconut. I linked in the ingredients list a brand that’s vegan so you can see an example of what to look for. 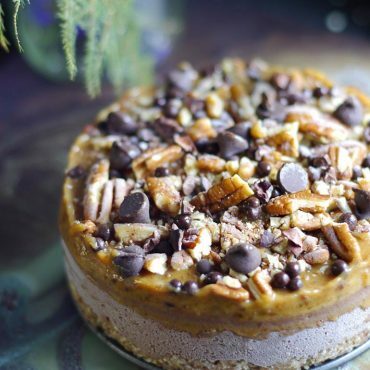 Disclaimer: this recipe contains affiliate links to coconut water, creamy almond butter, maple syrup, cinnamon, salt, buckwheat flour, powdered coconut milk, a power blender, silicone-tipped tongs, coconut oil spray, raw ground vanilla bean, pure vanilla extract. What a lovely recipe! I think another great substitute for bananas would be canned pumpkin, applesauce, sweet potato, and butternut squash! Great ideas, Cassie. I’ve thought of them as well, but haven’t tried them out in this recipe yet. I have a feeling sweet potato would work well.